Happy Solemnity of St. Joseph! In honor of this very special day, I thought it would be fun to host a giveaway! Hooray! Last evening, I had the pleasure of attending the release party for Stephanie Landsem‘s third novel The Tomb. It was my very first book release party, and it was a real treat! Located at the historic Lowell Inn in Stillwater, Minn., friends, family and fans gathered to have Stephanie sign our new books, and to enjoy scrumptous appetizers and amiable conversation. It was fun to be out and about in the middle of the week to support my new friend’s amazing accomplishment. 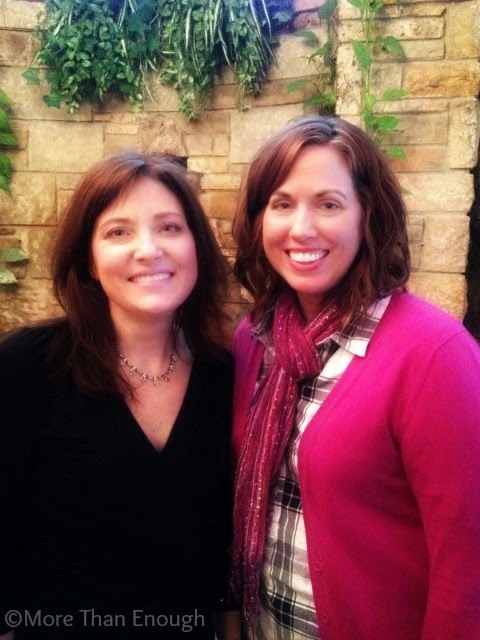 I met Stephanie on an icy evening in January at a meeting to plan the WINE: Catholic Women’s Conference. I am grateful that God placed us at the same table that evening, because not only was I introduced to an incredible woman of faith and joy, but I also was introduced to a beautiful book series that breathes new life into beloved Bible stories. Stephanie is the author of the Living Water Series, which comprises of three Biblical historical fiction novels. The Well, Stephanie’s debut novel, is about the woman at the well. The Thief centers on the healing of the blind man and also integrates the story of the good their crucified with Jesus. 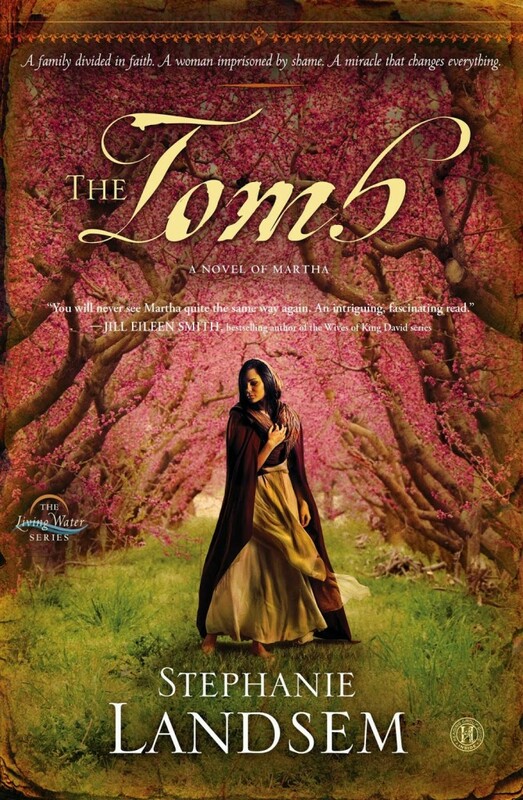 And The Tomb, which just released March 17, is a story about Martha, Mary and Lazarus. I recently read The Well, and I found it to be an absolutely beautiful story about faith, love, hope and surrender. It is adventurous, moving and inspiring. I could not put it down, and I did not want it to end, as I read the last several pages through my tears of overwhelming emotion for the characters that Stephanie so deeply developed. What I loved most of all was her beautiful way of writing a story about unconditional love so strong that we are willing to sacrifice our own hopes and desires for the good of another person and for the glory of God. Click here for my full review of The Well on Goodreads. A few weeks ago, Stephanie and I met for coffee, partly for fun and partly so that I could interview her for an article I wanted to write for CatholicMom.com. It was so interesting to learn about her writing journey and a little more background behind her books. 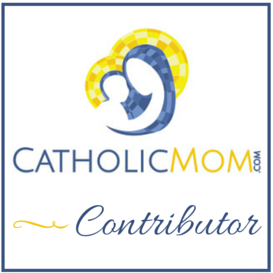 I encourage you to click on over to CatholicMom.com to learn more about her and the Living Water Series! You will be glad you did, I promise! 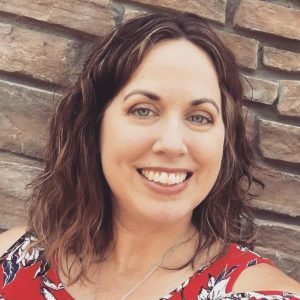 Now that I have had a chance to introduce you to Stephanie and her books, I’d like to give you the chance to win a copy of her brand-new novel, The Tomb! Enter the Rafflecopter Giveaway below, and please share this giveaway with your friends! I will announce the winner next Wednesday, on the Solemnity of the Annunciation! this book has been on my wish list since I first saw it!!! and subsequetly, her other books too!!! I cannot wait to read this book! Thanks for the giveaway! Im reading The Thief now and am 1/2 way through. I'm enjoying this so much, it's a real page turner and brings the stories of the bible to life for me. Would live to rwad the next book in this series, The Tomb! Thanks, Lisa, I'm glad to know you are enjoying The Thief. It's a good book to read for Lent. Good luck in the drawing. I love that Stephanie has delved into the story of Mary, Martha and Lazarus. Those of us who are familiar with these friends of Jesus will gain new insight and some readers will be introduced to this wonderful story for the very first time. Thanks Connie. It was fascinating to research and imagine what may have been happening with the family during those days before the crucifixion. Looks like a wonderful series!! I'd like to win this book because I always feel like St. Martha gets a bum rap. Like her, I am "anxious about many things." But she also showed great faith when she approached Jesus after her brother's death, and that is inspiring to me. Those were my exact thoughts as I began to write her story, Barb! I think we all relate to Martha in some way. I LOVE Biblical fiction! The Tomb would be a great witnessing tool. I love the idea, sounds like a great series. I would love to win a copy of this book. I think it sounds amazing. Thank you for sharing this series with us, Sarah. I think I'd really enjoy it. I'm just about wrapping up another series and I know I'll be looking for something new very soon. I'm hoping to try these. I love biblical fiction and would love the chance to win. PS are you getting my emails? This series is on my TBR list. I would love to win a copy! Thanks for the giveaway! I love Stephanie's Living Water series; it's fantastic! The Thief is one of the very best books I've read, and I can't wait to read The Tomb!! Thank you so much for sharing this wonderful giveaway opportunity. I would love to read this book as well as my niece is wanting to read it. I saw this series at the Wine women's conference and today we're going to her book signing. So excited and would love a copy! Our library has The Theif and my dd 12 didn't put it down till she was done. That's a sign of a good book! I'll see you today at the signing! I would like to win it because I have the first two and want the whole series. I also can't wait to read it!! Thanks! I love to read biblical fiction to give the people in the bible personality. I absolutely loved The Well and The Thief and can't wait to read The Tomb! Such great books that captivate as a fiction book does, but also strengthen your faith as well! I would just like to get myself more into Mary and Martha's minds and get to experience what they experienced.